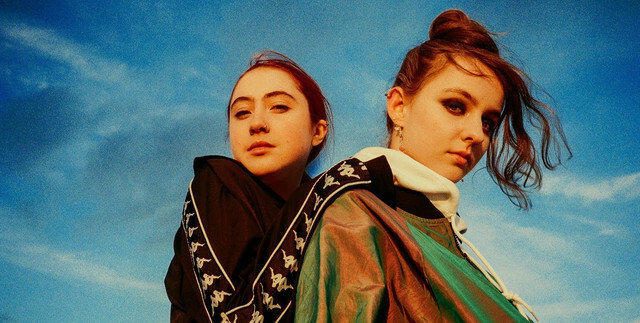 As a pair of teenage girls who make moody, modern music that captures the drama of youth, Let’s Eat Grandma have inevitably drawn comparisons to Lorde – and sure enough, if the New Zealand singer-songwriter ever switches from alcohol to LSD then the results might sound a lot like this. The group's sophomore album is a spacey work of introspective synth-pop that can bring to mind Portishead one moment and Pink Floyd the next while still feeling like a complete and unified journey. As eccentric and ambitious as some of these tracks can get, I’m All Ears remains a highly accessible listen, and not just because members Rosa Walton and Jenny Hollingworth have an ear for irresistible pop hooks. Anyone who’s lived through the tumultuous teen years can find some familiar emotions in these songs of passion, heartbreak, uncertainty and self-discovery, even when these feelings are being expressed through trippy lyrics like “I pave the backstreet with the mist of my brain”. Though the album has its share of angry and brooding moments, the vividly felt camaraderie between Walton and Hollingworth (two old friends who met when they were in reception class) ensures that the mood generally leans towards the sweet end of ‘bittersweet’. For most of us, young adulthood is a period of confusion, disappointment and overwhelming emotion, but I’m All Ears makes a stirring case that even the darkest moments can be rendered a little more bearable with someone by your side to make blissed-out and adventurous art-pop with. If that's not an option, then giving these 11 tracks a listen might be the next best thing.